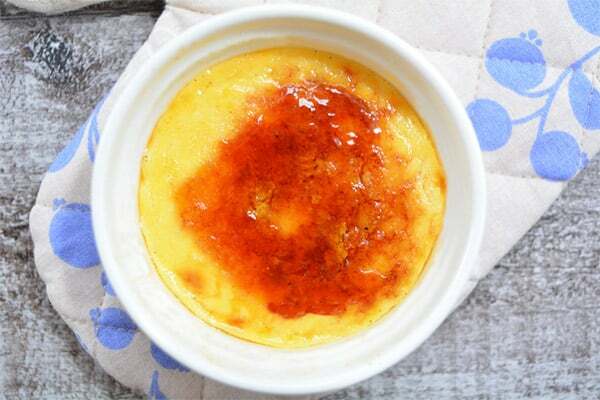 This recipe demystifies a famous restaurant-style Crème Brulee. It takes only four ingredients to prepare this lovely French dessert and with just a few tricks, you’ll master it in no time at all and look like a kitchen hero at the same time. Enjoy! Dice nectarines and place in a small individual oven proof souffle dish. Microwave on high for one minute. Place yoghurt over fruit and sprinkle with bread crumbs and cinnamon. Place under a hot grill and brown top.